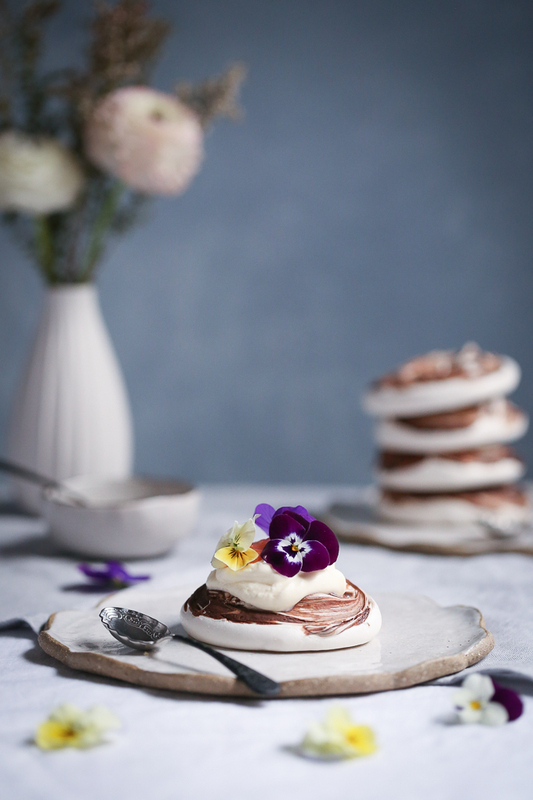 Dark chocolate and tangy blood orange curd cut through the sweetness of crisp meringues in this simple spring treat. 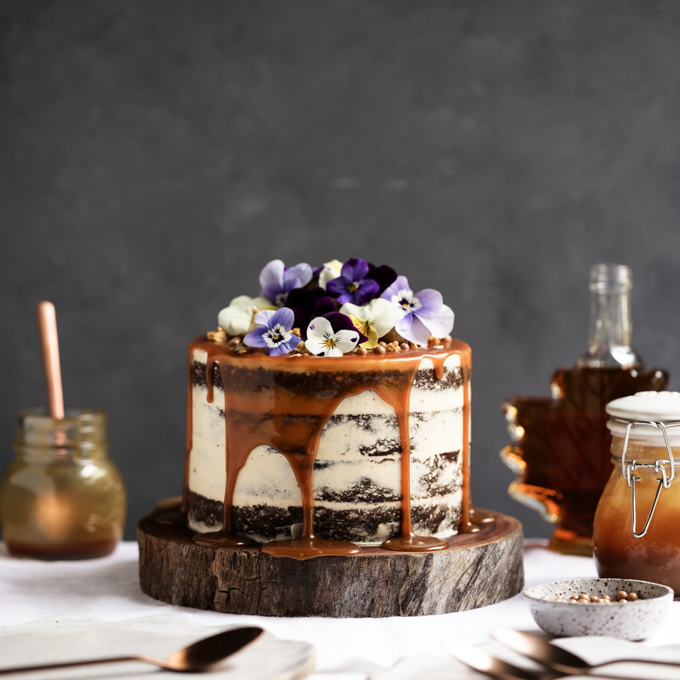 Each element is quite easy to prepare in advance, and assembles quickly when ready to serve, making it the perfect end to an afternoon barbeque or dinner party. 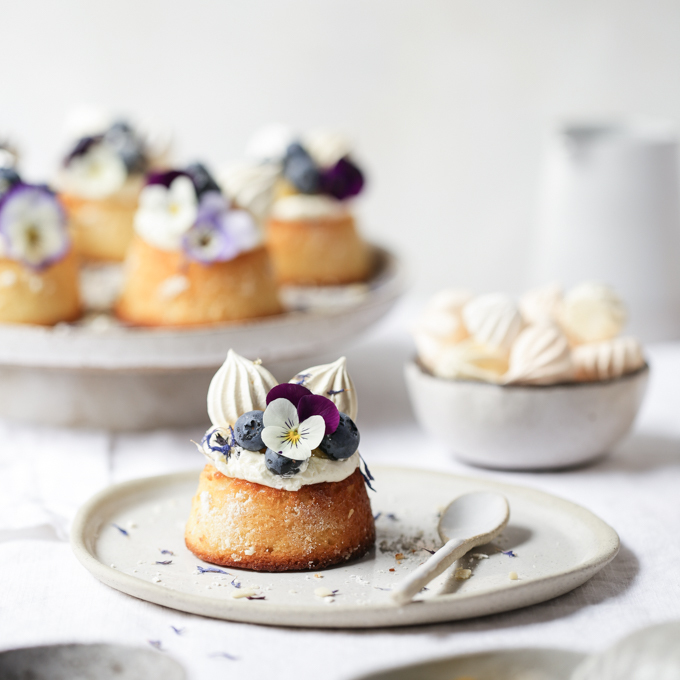 I love adorning desserts with edible flowers, as it’s always an easy way to dress them up when nature does the hard work, but if they aren’t available, you could always add a few plump berries for aesthetics and a little extra freshness. (1) To ensure the greatest volume when whisking your egg whites, ensure all cooking utensils are squeaky clean from grease, and that you use the freshest eggs possible, at room temperature. If you need to bring the eggs quickly to room temperature from the fridge, placing them uncracked in a small clean bowl of warm water will hasten the process. 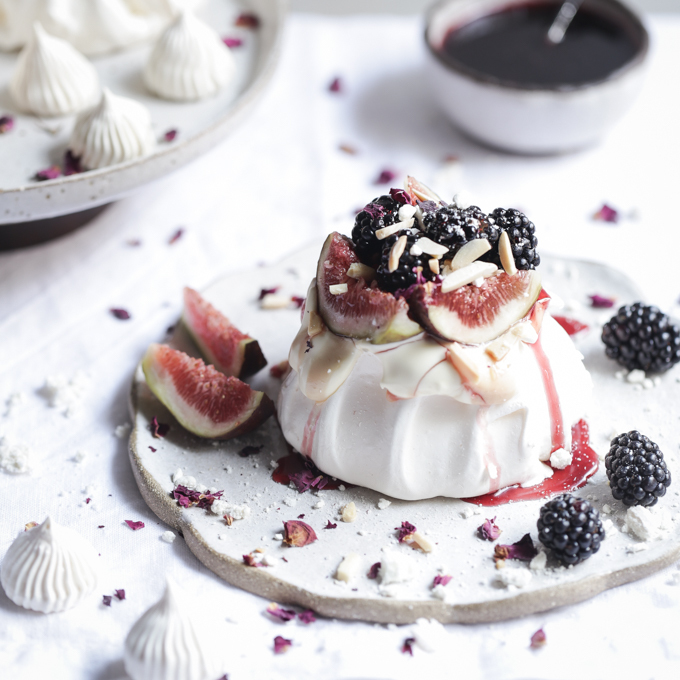 (2) The actual process of making meringues is fairly simple, but they can be a bit temperamental under certain conditions. 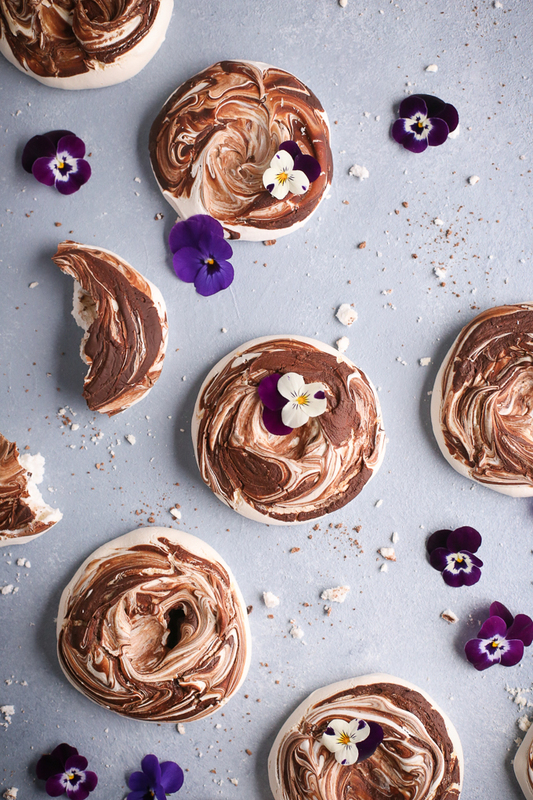 To ensure the meringues are completely crisp and dry when baked, avoid making them on humid or rainy days (or if your local climate is always humid or rainy, crank the air-conditioning up in the kitchen to ensure the air is dry when you’re baking). 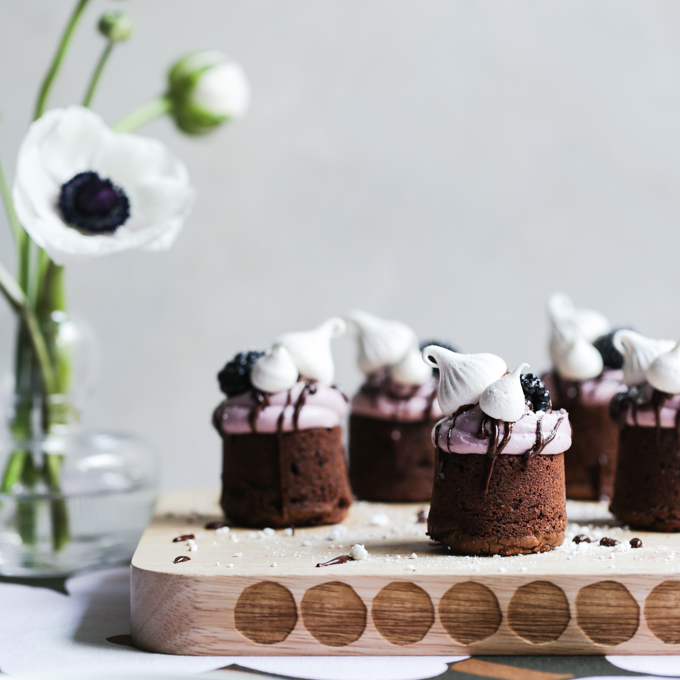 To avoid your meringues browning and losing their lovely pearly-white tone, bake on the bottom shelf of your oven using a low heat. 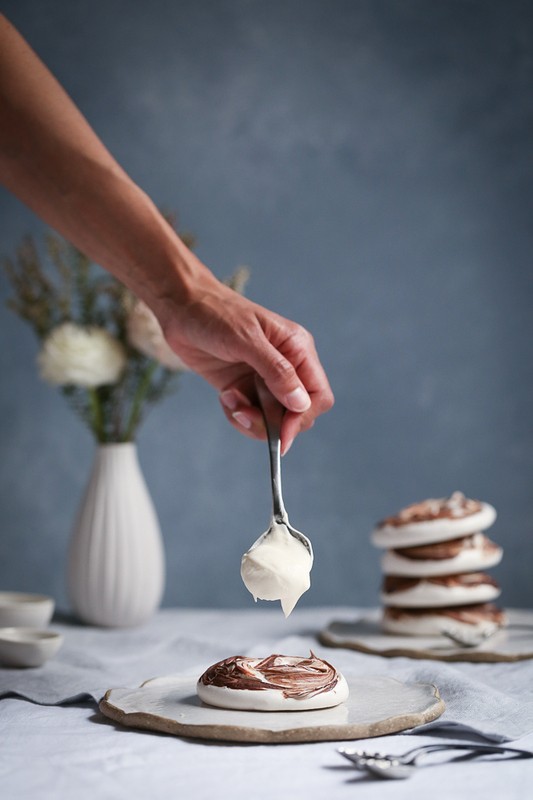 To ensure your meringues don’t spread excessively when baked, the meringue must be whisked to very stiff peaks (you should be able to hold it upside down above your head and the meringue should not slide out of the bowl!). 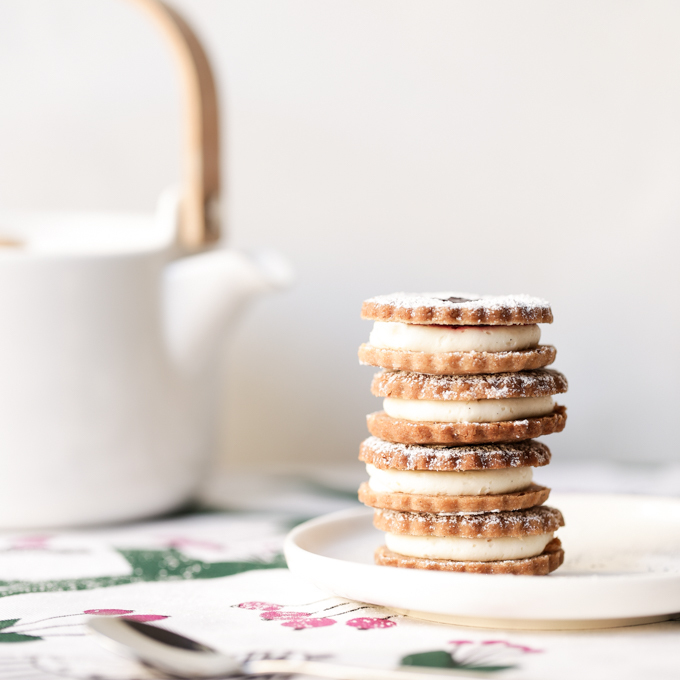 To prevent little bubbles all over the meringue surface, ensure the sugar has completely dissolved in the egg white (it should not feel gritty when rubbed between your fingers), and don’t overbake them. To avoid cracked meringues, allow them copious amounts of time (even longer than I’ve suggested in the recipe if needed (ie. a couple of hours if you have time)) to cool down very slowly. 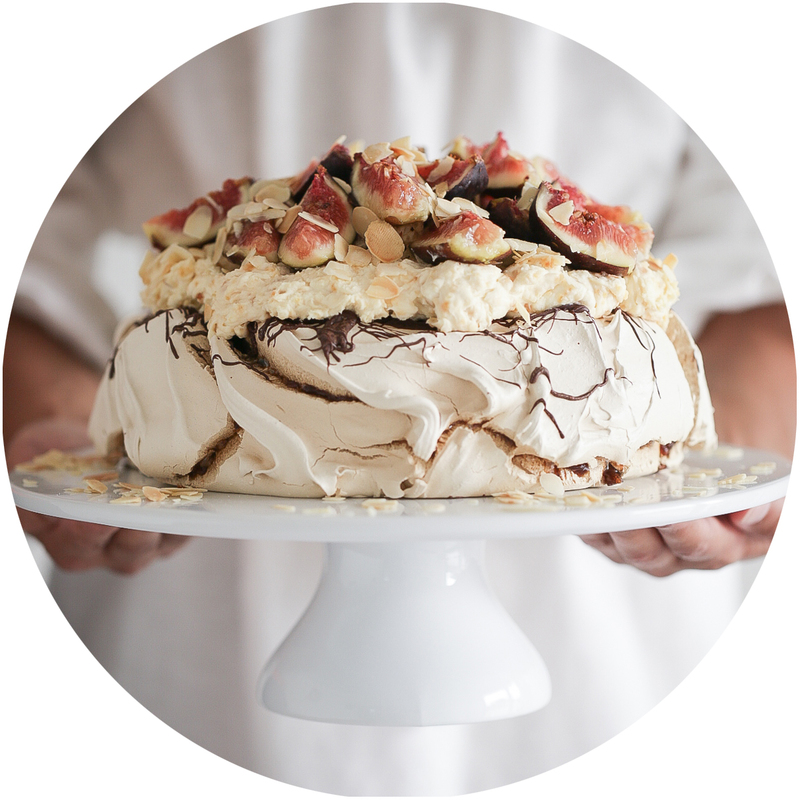 And if your first few meringue attempts are a total disaster, do not be disheartened! 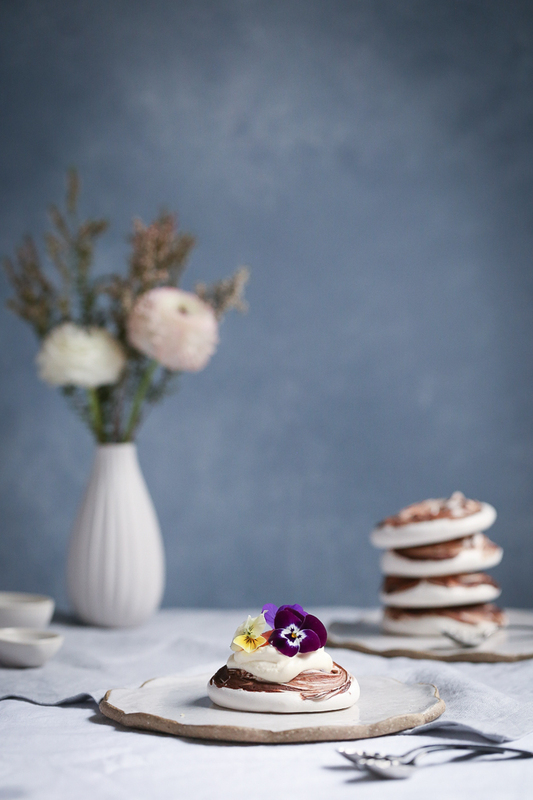 I learnt most of these tips from plenty of failed meringue attempts myself, but once you get the hang of it, you’ll fall in love making (and eating) meringue again and again. 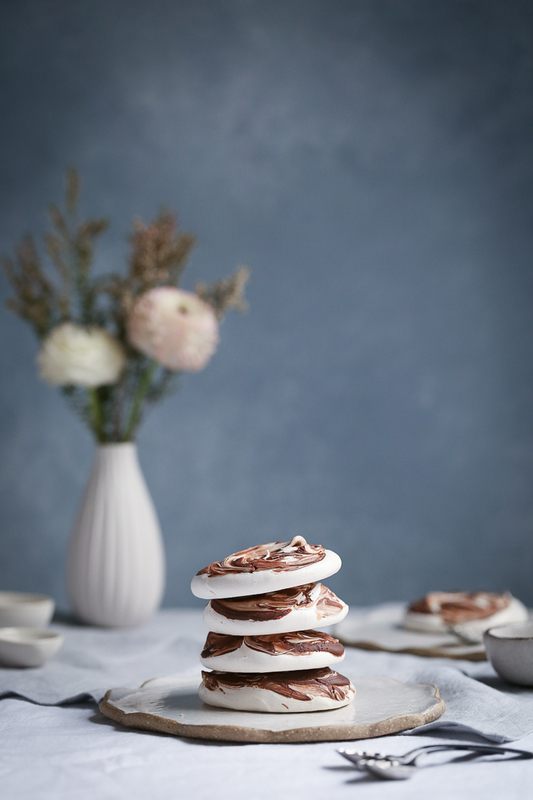 (3) These meringues can be made in advance and will keep crisp in an airtight container in dry conditions for 1-2 weeks. 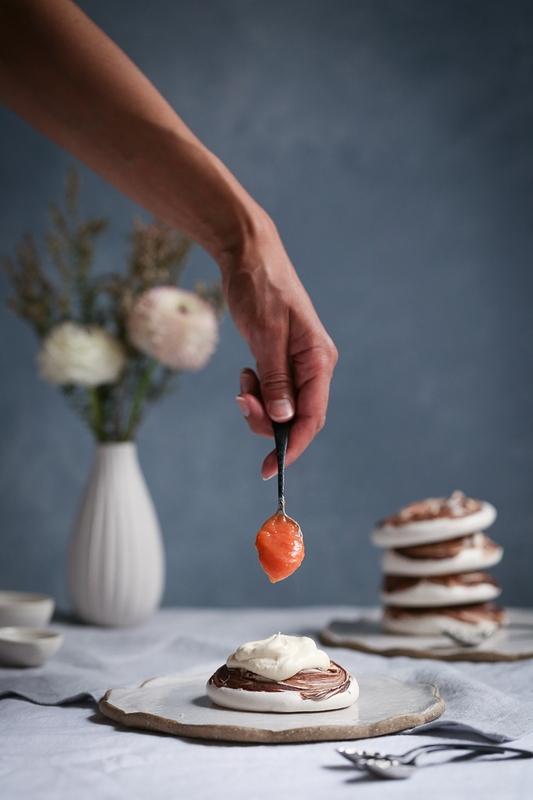 After assembling the meringues together with the cream and curd, however, they should be served immediately as the moistness will quickly soften and degrade the quality of the meringues. (1) Pre-heat oven to 140°C (120°C fan-forced) and line two baking trays with baking paper. 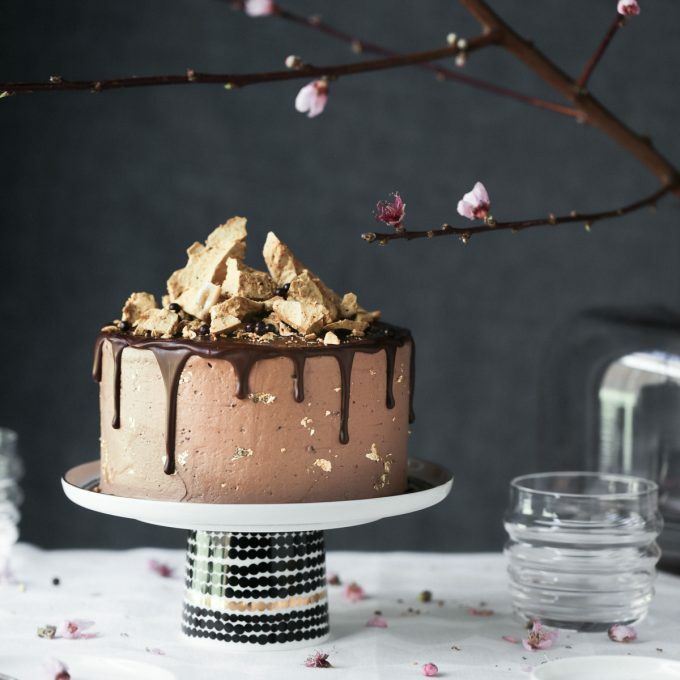 Using a thick black pen and round lid or glass, trace six 8cm (3”) circles on each sheet of baking paper, 5cm (2”) apart, to use as a guide for the size of your meringue. Turn the baking paper over so that no pen marks appear on your meringue later when baked. (2) Place egg whites and cream of tartar in free standing mixer with whisk attachment and whisk on medium speed until frothy. (3) Slowly add caster sugar, teaspoon by teaspoon, while continuing to whisk (this process should take approx. 10-12 minutes). (4) Turn mixer up to high speed and continue whisking until mixture transforms into glossy thick meringue and stiff peaks form (approx. 2 minutes). If you rub a little meringue between your fingers it should feel completely smooth, with no grittiness of undissolved sugar. 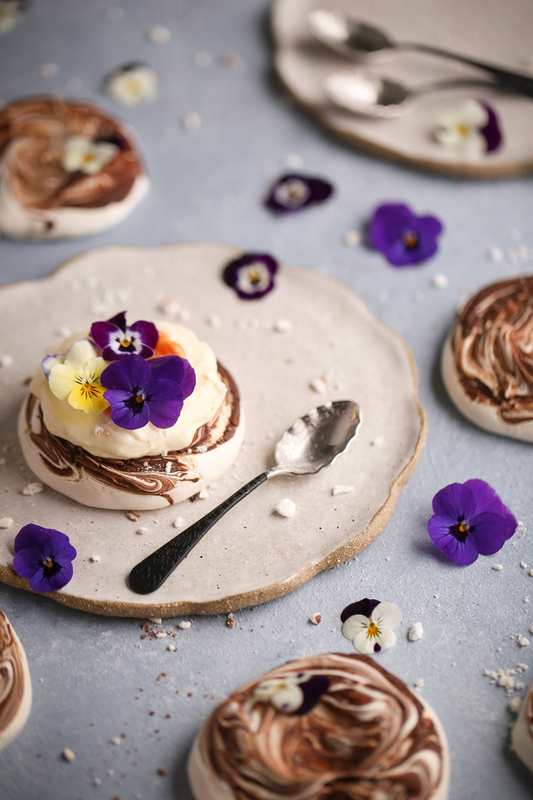 (5) Spoon or pipe meringue onto baking paper circles, drizzling a little chocolate onto each one, then using a teaspoon or palatte knife, swirl each meringue surface and indent each centre to create nests. (6) Place trays in oven on bottom shelves and turn the oven down to 120°C (100°C fan-forced). 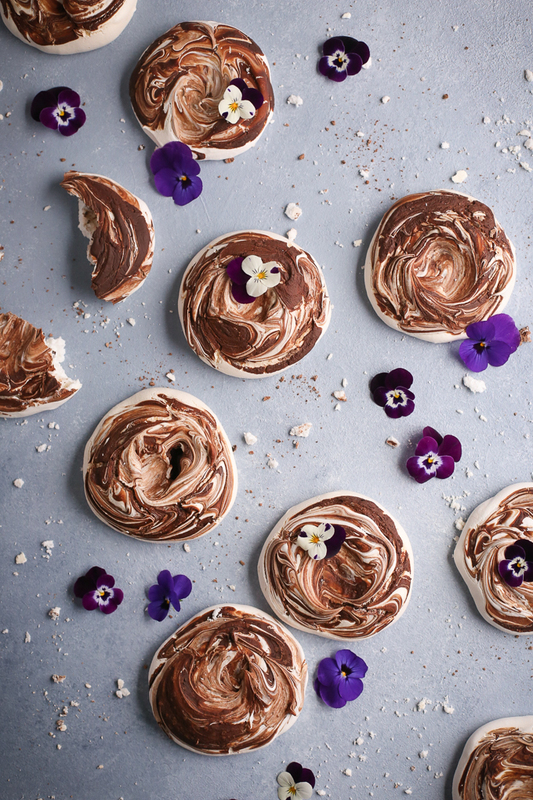 Bake for 80 minutes, then turn oven off without opening the oven door and leave trays in for at least another 60 minutes to allow the meringues to cool down slowly. 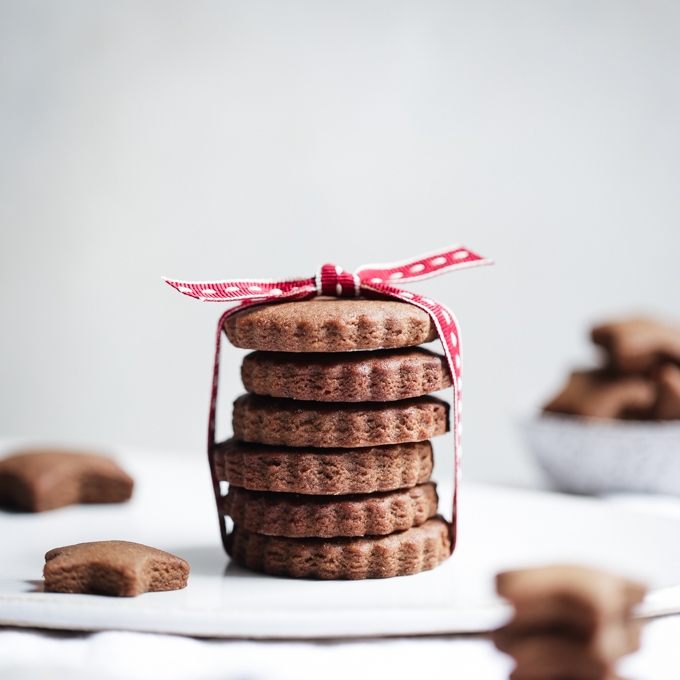 (1) Whisk cream, sugar and vanilla in free-standing mixer or using a hand-held electric whisk until soft peaks form. (1) Lightly whisk egg yolks and sugar together in large clean bowl until pale and thick but not frothy. (2) Melt butter, juice and zest together in a medium saucepan over low heat. (3) Add egg yolk and sugar mixture to saucepan and stir constantly over low-medium heat until it thickens enough to coat the back of a spoon (approx. 7-10 minutes). (4) Remove from heat and allow to cool to room temperature. 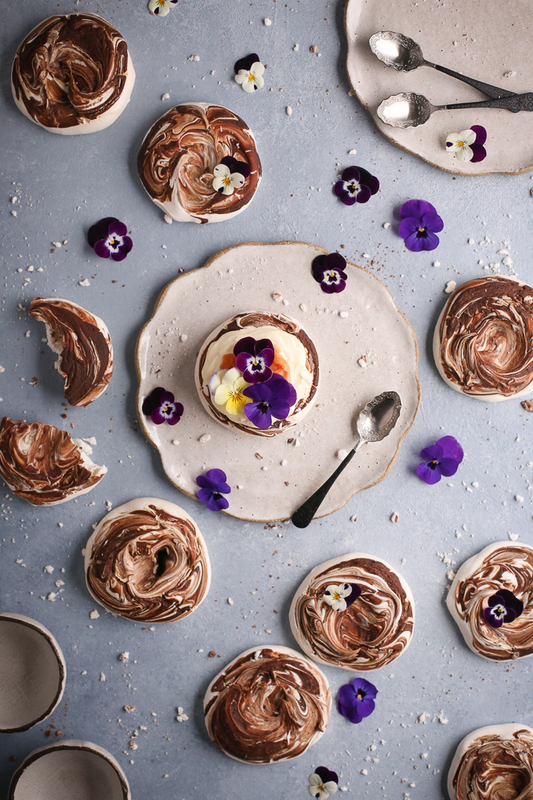 (1) To serve, place meringues on serving platter, spoon with chantilly cream and blood orange curd, and decorate with edible flowers. 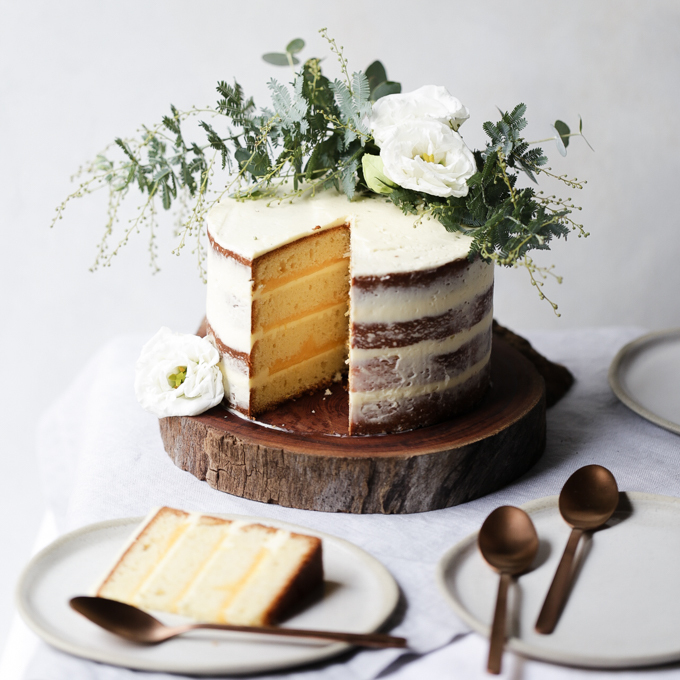 Azaela flower plates from Kinfolk and Co.
Hi, I’m Salma, and I love creating beautiful images and sweet treats. 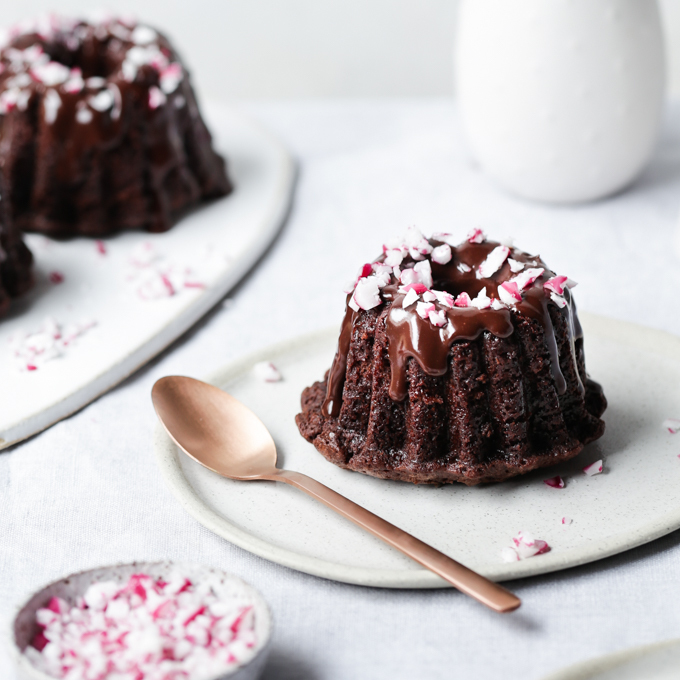 If you’re looking for a little baking inspiration, you’ve come to the right place.